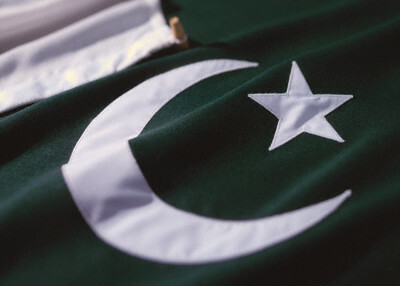 TechCrunch author Ingrid Lunden while covering the Twitter Censorship in Pakistan writes Sure, Draw Some thing, Just not The Prophet [pbuh] – at least one Pakistani blogger/activist (and, yes, dentist) Awab Alvi has raised the point that there may be no direct blasphemy accusation involved today at all… linking to portions of the post Twitter Blocked in Pakistan – Permanently or Weekend Testing? Today at 8:00pm Pakistan Time Twitter.com service went offline due to a massive DDoS attack on its servers. DDoS attacks are an attempt to make a website inaccessible by technically overloading the servers with millions of instantaneous requests from hundreds of computers scattered across the world. Twitter a very popular suffered this attack and was literally conked out for over two hours until they slowly recovered their servers to normalcy. The DDoS attacks were definitely worrisome but what really tickled us here in Pakistan was the fact that Jang News had a very unique and interesting twist to this report. Jang, the local Urdu newspaper, In an effort to explain to its viewers or even in a surge of sheer stupidity they explained Twitter as “Microsoft Blog called Twitter” now that is a joke in its own self. For a fact twitter is not a Microsoft entity and is a Micro-blog and quite definitely not Microsoft’s blog. Keep an eye on the conversations going on online via this Live Blog, if you choose to take part then either join twitter.com and use the hashtag #PakCricket [which will pull your message into this live blog] alternatively you can leave a comment in the CoveritLive application re and after approval it can be shared with everyone keep ina eye on the Twenty 20 final. Hence we would love to hear your live commentary during the 40 overs of the entire match. The #PakCricket twitter rally started late Saturday night an attempt to rally behind the Pakistan Cricket Team when it was due to face the Sri Lankan Cricket team on Sunday in the Twenty20 cricket World Cup at Lords in London. Simply having the team featuring in the Twenty20 Final was a godsend morale boost for a nation desperately on the look out for good news as it has been a long time have they been able to look beyond the haze of bomb blasts and terroristic attacks. 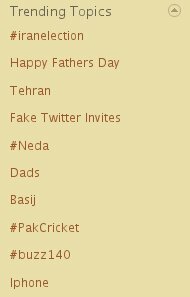 The digital sphere decided to rally behind a twitter keyword “#PakCricket” aiming to build momentum of patriotism. We finally achieved our goal at 4:30pm Pakistan time when the #PakCricket appeared on the sidebar of the home page of Twitter.com. Since the first time it was spotted it has already climbed to #8 position. Appearing on Twitter trending topic means that one of the most ten talked about topics amongst the millions of conversations on twitter.com is about Pakistan Cricket. Earlier I had posted Who killed the Baloch leaders? by Qurat ul ain Siddiqui. More on this saga here. This should raise alarms. Will it? This is extra-judicial killings – by state organs. The last time it happened under Benazir and Sharif Governments, the agencies got emboldened and thousands of Baluchis and Muhajirs died. Earlier in the 70s, the same agencies were involved in what was then East Pakistan. A fool learns from his mistakes. An idiot does not. We seem to be bent upon endlessly repeating mistakes. Either that, or the agencies are a power unto themselves and are a state within state and cannot be controlled. The concern of our MaiBaap is not displaced. They urge effective control over this behemoth (the Agencies) as much for their benefit as for ours.